This post has been a little while in the making - when reviewing skincare I like to give it a few weeks (especially with something like a serum) before I jot my thoughts down on a product. I was in the market for something to spruce up my skincare routine and tackle some concerns of mine. At the time I wanted to focus mainly on just something to give my skin that extra 'boost' it needed, a little extra injection of moisture and radiance. Enter the L'Oreal Skin Perfection Advanced Correcting Serum. On that front, I would say that this serum delivered. After cleansing it feels like a treat to apply to the skin, so soft and nourishing, you can tell that it is adding that extra moisture. As for radiance, after a few days that could be seen - not off the charts amazing, but certainly noticeable. However, after a couple of months of every day use and half a bottle of serum left, my skin is needing something else. My concerns now lean more toward pigmentation and breakouts, not something that I would rate this particular serum for correcting. Although it claims to help uneven skin tone, my skin is not looking even at all. Whilst I am sure that is a result of something other than this serum, I definitely need to switch it out for something that can more effectively target my concerns. I'm not sure what that is yet, but I'm sure you'll be getting an update of what that is in a few weeks! 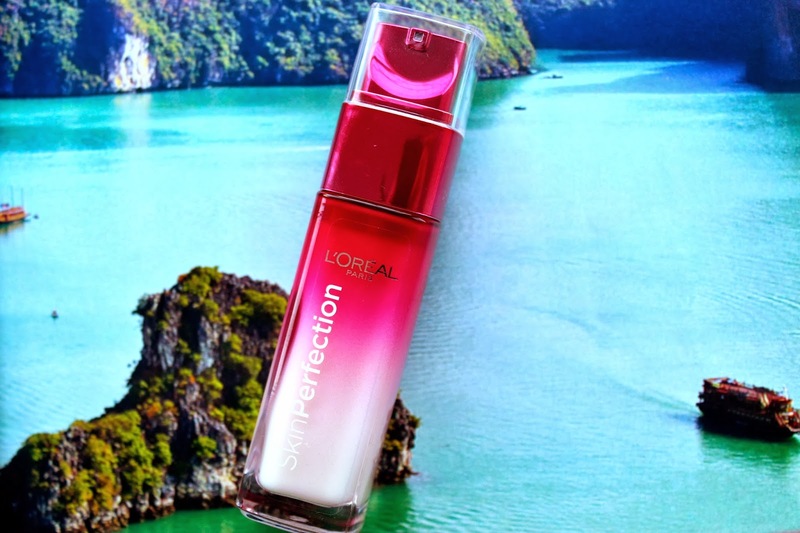 So overall, the L'Oreal Skin Perfection Advanced Correcting Serum (that's a name and a half!) is a good serum for non-problem skin. To add a little extra 'oomph' to your skincare routine, this is a great little addition. For concerns other than dryness and dullness, your better off looking for something else! Stay tuned to find out what that is!